This chapter is a synthesis of new knowledge, procedures, best practices and references for collecting plant diversity since the publication of the 1995 volume Collecting Plant Diversity: Technical Guidelines, edited by Luigi Guarino, V. Ramanatha Rao and Robert Reid, and published by CAB International on behalf of the International Plant Genetic Resources Institute (IPGRI) (now Bioversity International), the Food and Agriculture Organization of the United Nations (FAO), the World Conservation Union (IUCN) and the United Nations Environment Programme (UNEP). The original text for Chapter 2: Legal Issues in Plant Germplasm Collecting, authored by IPGRI (now Bioversity International), FAO, IUCN and UNEP, has been made available online courtesy of CABI. The 2011 update of the Technical Guidelines, edited by L. Guarino, V. Ramanatha Rao and E. Goldberg, has been made available courtesy of Bioversity International. The legal environment governing the collection and conservation of germplasm has changed extensively since the Technical Guidelines were first published in 1995. This chapter looks at these changes and the implications for germplasm collection of the Convention on Biological Diversity, the Global Plan of Action for the Conservation and Sustainable Utilization of Plant Genetic Resources for Food and Agriculture, the International Treaty on Plant Genetic Resources for Food and Agriculture, and the Nagoya Protocol on Access to Genetic Resources and the Fair and Equitable Sharing of Benefits Arising from their Utilization. Many developments have occurred in the legal environment governing the collection of plant germplasm since the first edition of these Technical Guidelines, including the adoption of the Global Plan of Action for the Conservation and Sustainable Utilization of Plant Genetic Resources for Food and Agriculture (hereinafter “the Global Plan of Action”) in 1996, the entry into force of the International Treaty on Plant Genetic Resources for Food and Agriculture (hereinafter “the Treaty”) in June 2004, the establishment of the Global Crop Diversity Trust in 2004, and the adoption of the Nagoya Protocol on Access to Genetic Resources and the Fair and Equitable Sharing of Benefits Arising from their Utilization (hereinafter “the Nagoya Protocol”) in 2010. There have also been developments and new activities in the area of plant breeders’ rights. The Global Plan of Action was adopted by 150 countries at an international technical conference in Leipzig and reflects consensus on the main priority areas covering in situ conservation and development, ex situ conservation, plant genetic resources utilization, and institutions and capacity building. It is now in the process of being updated. The entry into force of the Convention on Biological Diversity (CBD) in 1992 (with its emphasis on the sovereign rights of countries of origin of genetic resources and on the premise that access should be on the basis of prior informed consent and mutually agreed terms) raised concerns about the potential impact of an essentially bilateral system of access and benefit-sharing on the flow of plant genetic resources for food and agriculture (PGRFA) so critical to food security and the development of sustainable agriculture. The response of the international agricultural community was to call for the revision of the International Undertaking on Plant Genetic Resources, with its emphasis on the free flow of PGRFA, to bring it into harmony with the CBD while still allowing for the exchange of the PGRFA most essential to food security without incurring prohibitive transaction costs. The product was the International Treaty on Plant Genetic Resources for Food and Agriculture (www.planttreaty.org/texts_en.htm), which was adopted by the FAO Conference in 2001 and now has some 127 Contracting Parties. The Treaty establishes a multilateral system of access and benefit-sharing (MLS) for the plant genetic resources of a number of the crops and forages that are most important for food security and on which countries are most dependent (listed in Annex 1 of the Treaty, which can be updated from time to time by consensus of all Contracting Parties). All Annex 1 PGRFA that are under the management and control of Contracting Parties and in the public domain are automatically included in the MLS, and Contracting Parties are to encourage other holders of Annex 1 PGRFA to place them in the MLS. Access and benefit-sharing for the plant genetic resources of the genera of some 64 crops and forages listed in Annex 1 to the Treaty, as between Contracting Parties to the Treaty, is to be on the basis of multilaterally agreed terms and conditions as set out in a standard material transfer agreement (SMTA), thus reducing the transaction costs involved in negotiating access and benefit-sharing on a strictly bilateral basis. Facilitated access under the Treaty covers only the crops and forages listed in Annex 1, although a number of Contracting Parties, mostly developed countries, have chosen to extend facilitated access under the SMTA to the plant genetic resources of other crops. The MLS was designed primarily with access to ex situ collections in mind. Access to the plant genetic resources of Annex 1 crops and forages from in situ conditions is to be provided in accordance with national legislation or (in its absence) in accordance with such standards as may be set by the Treaty’s Governing Body. Nevertheless, these resources are still covered by the MLS. The exact implications of the reference to national legislation in connection with access and benefit-sharing for PGRFA found in in situ conditions have not yet been considered by the Governing Body of the Treaty. In any case, much germplasm collection will normally be carried out in areas not covered automatically by the MLS (e.g., non-Annex 1 PGRFA or PGRFA in famers’ fields or in countries not yet party to the Treaty). The legal environment governing the collection of germplasm will thus inevitably be a patchwork of norms under both the Treaty and the CBD. The CBD itself is a framework convention setting out the main principles governing the conservation and sustainable use of all genetic resources: access to genetic resources outside the scope of the Treaty is governed by the CBD and will be subject to the terms of the Nagoya Protocol once that protocol enters into force. Access to genetic resources and the fair and equitable sharing of the benefits arising from their use is to be on the basis of prior informed consent and on mutually agreed terms. Exactly what this means in practice is the subject of the Nagoya Protocol, which sets out in more detail the process for obtaining access to genetic resources and related traditional knowledge (as well as the fair and equitable sharing of benefits arising from their use) on the basis of prior informed consent and mutually agreed terms. The following update concentrates on the impact of the Treaty and the Nagoya Protocol. Work has not yet started on the development of standards for access to PGRFA in in situ conditions under the MLS, which will inevitably throw more light on the meaning and implications of the provisions of the Treaty that deal with this issue. The following update also examines recent developments regarding ex situ conservation, including the adoption of the Global Plan of Action and the establishment of the Global Crop Diversity Trust. 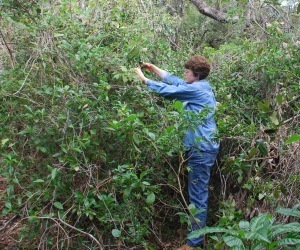 It also briefly describes new developments in the area of plant breeders’ rights and ex situ conservation techniques. The Treaty entered into force on 29 June 2004 and (as of 15 June 2011) has 127 Contracting Parties. The objectives of the Treaty are the conservation and sustainable use of PGRFA and the fair and equitable sharing of the benefits arising out of their use (in harmony with the CBD) for sustainable agriculture and food security. Articles 5 and 6 set down general provisions regarding conservation, exploration, collection, characterization, evaluation and documentation of PGRFA and their sustainable use. Article 5.1. (b) requires each Contracting Party, subject to national legislation, to promote the collection of PGRFA that are under threat or are of potential use, along with relevant associated information. Under paragraph 5.1. (e), Contracting Parties are required to cooperate to promote the development of an efficient and sustainable system of ex situ conservation, giving due attention to the need for adequate documentation, characterization, regeneration and evaluation, and to promote the development of appropriate technologies for this purpose. They are also to monitor the maintenance of the viability, degree of variation and genetic integrity of collections of PGRFA (Article 5.1.(f)). Nothing further is said in the Treaty as to what should constitute an “efficient and sustainable” system of ex situ conservation, but more indications are given in the Global Plan of Action adopted in 1996 (see below). Part IV of the Treaty establishes the MLS for the plant genetic resources of crops and forages listed in Annex 1 to the Treaty: the genera of some 35 crops and 29 forages. The Contracting Parties agree to grant other Contracting Parties, or legal and natural persons under their jurisdiction, facilitated access to PGRFA included in the MLS in their countries for the purpose of conservation and utilization for research, breeding and training for food and agriculture. All PGRFA of Annex 1 crops and forages that are under the management and control of the Contracting Party and in the public domain are automatically included in the MLS. Other holders of Annex 1 PGRFA are invited to include their holdings in the MLS and Contracting Parties agree to take measures to encourage them to do so. Some light has been shed on the meaning of these terms by the Ad Hoc Advisory Technical Committee on the Standard Material Transfer Agreement and the Multilateral System of the Treaty (hereinafter “the Ad Hoc Advisory Technical Committee”) in the report on its first session in 2010 (ftp://ftp.fao.org/ag/agp/planttreaty/gb4/AC_SMTA_MLS1/ac_smta_mls1_repe.pdf). All PGRFA in the MLS are to be made available in accordance with standard multilaterally agreed terms and conditions as set out in the SMTA adopted by the Governing Body of the Treaty at its first session in June 2006 (www.planttreaty.org/smta_en.htm). These include the requirement that the PGRFA shall be used only for research, breeding and training for food and agriculture, that access shall be accorded expeditiously and free of charge apart from administrative expenses, and that the recipients should not claim any intellectual property rights over the material received that would limit facilitated access by others to the PGRFA in the form received from the MLS. The MLS also provides for benefit-sharing on a multilateral basis. Facilitated access to PGRFA is expressly recognized as being a major benefit of the system. Other forms of benefit-sharing include exchange of information, access to and transfer of technology, capacity building and the sharing of monetary and other benefits of commercialization. In this context, the MLS provides that a recipient who commercializes a product that is itself a PGRFA and that incorporates material accessed from the MLS should pay an equitable share of the benefits arising from the commercialization into an international fund set up for this purpose. The payment, which was set by the Governing Body at its first session at the rate of 1.1% of the gross sales of the product less 30% (i.e., 0.77%) is mandatory where the recipient takes action to restrict the availability of the product for further research and breeding (e.g., by taking out certain types of patents over the product). Where availability of the product is not so restricted, then the payment is to be voluntary, though encouraged. In addition to the monetary payments, recipients of material from the MLS are required to make available to the MLS all non-confidential information resulting from the research and development carried out on the material. As noted by the Ad Hoc Advisory Technical Committee (FAO 2010a) in the report of its first session, the term “PGRFA under the management and control of the Contracting Parties”, encompasses both PGRFA in in situ conditions and that held ex situ”. The Treaty provides that access to PGRFA found in in situ conditions will be provided according to national legislation, or in the absence of any such legislation, in accordance with such standards as may be set by the Governing Body. This provision is without prejudice to the other provisions of the MLS. While the exact meaning of this is not entirely clear, it does imply that facilitated access should still be granted to Annex 1 PGRFA that meet the conditions for inclusion in the MLS, but that the way in which access is to be granted, including the actual process of any collection, would be subject to the requirements of national legislation. The Governing Body has not yet authorized the development of standards regarding the collection of PGRFA from in situ conditions, whether this would consist of the revision of the Code of Conduct on Plant Germplasm Collection or the development of entirely new standards. At the same time, at its second session, the Ad Hoc Advisory Technical Committee (FAO 2010b) introduced a further note of caution, suggesting that the whole question of the interrelationship of the provisions of Article 12.3. (h) regarding access to PGRFA in in situ conditions with the rest of the provisions of the MLS should be further worked on. Whatever the outcome of the future discussions in the Governing Body on the subject of the scope and implications of Article 12.3. (h), it is clear that the international legal framework governing the collection of PGRFA from in situ conditions will be a patchwork of norms from both the Treaty and the CBD. In the end, all will depend on how these provisions are interpreted and implemented at the national level through national legislation. In any event, it is clear that the coverage of the MLS provisions will be only partial, given that non-Annex 1 material will not be covered, nor will Annex 1 PGRFA found in farmers’ fields, unless these are placed in the MLS through voluntary action or as a result of collection by national authorities and subsequent incorporation in governmental ex situ collections. Under the CBD, access to genetic resources and benefit-sharing is subject to national legislation, to prior informed consent and to mutually agreed terms with the country that is the country of origin of those resources or that has acquired them in accordance with the CBD. The rather general CBD provisions regarding access and benefit-sharing have been recently fleshed out in the Nagoya Protocol (www.cbd.int/abs/text), which was adopted in September 2010 and has now been signed by 65 states. The Protocol will enter into force 90 days after the deposit of the 50th instrument of ratification, acceptance, approval or accession. The Nagoya Protocol lays particular stress on the fair and equitable sharing of benefits arising from the utilization of genetic resources. In this context, it draws on previous work undertaken within the framework of the CBD, including the Bonn Guidelines on Access to Genetic Resources and Fair and Equitable Sharing of the Benefits Arising out of Their Utilization (www.cbd.int/abs/bonn) (hereinafter “the Bonn Guidelines”) adopted by the Conference of Parties to the CBD in 2002. The list of possible monetary and non-monetary benefits set out in the Annex to the Nagoya Protocol is drawn directly from the Bonn Guidelines. It also deals in a parallel way with access to genetic resources and to traditional knowledge related to those resources: in both cases prior informed consent is required, and access and benefit-sharing is to be on mutually agreed terms. Where indigenous and local communities have an established right to grant access to particular genetic resources and associated traditional knowledge, then the prior informed consent of those communities must be obtained, and access and benefit-sharing must be negotiated with them on mutually agreed terms. Central to the whole process will be the Access and Benefit-sharing Clearing-House set up under Article 11 of the Nagoya Protocol to act as a central information point for legislative, administrative and policy measures on access and benefit-sharing, including procedures, requirements and information on national focal points and national authorities, and for notifications of the issuance of permits or certificates of compliance with requirements for those accessing genetic resources. In developing and implementing legislation and regulatory schemes for access and benefit-sharing, Parties are required to create conditions to promote and encourage research that contributes to the conservation and sustainable use of biological diversity, particularly in developing countries. This includes developing simplified measures for access for non-commercial research purposes, taking into account the need to address a change of intent for such research. Parties are also required to pay due regard to cases of present or imminent emergencies that threaten or damage human, animal or plant health, as determined nationally or internationally. Parties may take into consideration the need for expeditious access to genetic resources and expeditious fair and equitable sharing of benefits arising out of the use of such genetic resources, including access to affordable treatments by those in need, especially in developing countries. Finally, they are required to consider the importance of genetic resources for food and agriculture and their special role for food security. With respect to traditional knowledge associated with genetic resources, Parties are to take into consideration the laws, protocols and procedures of indigenous and local communities and to support, as appropriate, the development by those communities of community protocols in relation to access and benefit-sharing, of minimum standards for mutually agreed- terms for benefit-sharing and of model contractual clauses for benefit-sharing. 1. In consultation with host-country collaborators, develop a proposal describing the collection activities. Include taxa and associated information to be collected, foreign and host-country participants, dates, locations to be visited, collecting protocol, possible benefits to the host country, intended use of the germplasm and budget. 4. Follow the requirements of the host-country authority to request PIC. 5. The host-country authority may respond to your request with a letter, permit, license, material transfer agreement* or other documentation. Carefully review the documentation received to be sure that you and your institution can abide by all the terms, including the procedures for collecting the germplasm, limitations on the use of the germplasm, and the specified benefit-sharing. Additional communication may be necessary to reach a mutual agreement on terms. 6. PIC from other types of authorities may also be required. Lower administrative levels, such as provincial authorities, require separate permits in some countries. Collection of germplasm in protected areas requires permits in most countries. Collection of traditional crop varieties often requires PIC from indigenous and local communities. 7. Take measures to ensure that all the mutually agreed terms of the PIC are followed both during and after the exploration. Carry the documentation providing PIC with you on the exploration. Follow all requirements of the CBD, including those concerning the rights of indigenous and local communities and the protection of biological resources. 8. Share the germplasm, documentation and subsequent results of research with cooperators in the host country. Involve host-country stakeholders in the research as much as possible. The exact process to obtain PIC varies from country to country. In some countries, host-country collaborators rather than foreign participants may be required to request permission for access from the national authorities. Future developments on implementation of the Nagoya Protocol and the Treaty regarding the collection of genetic resources from in situ conditions should be monitored to determine whether modifications are needed in the process. *The authorities in a country may choose to use the SMTA to provide access to genetic resources listed in Annex 1 to the Treaty collected in situ (for example, by depositing the germplasm in the national genebank and then distributing it from there). Presumably, the SMTA will constitute an internationally recognized certificate of compliance insofar as access to PGRFA in the MLS is concerned. In any case, the Nagoya Protocol specifically recognizes that where a specialized international access and benefit-sharing instrument, such as the Treaty and its SMTA, applies, the Nagoya Protocol will not apply for the Party or Parties to that specialized instrument: the Protocol and other specialized instruments are to be implemented in a mutually supportive manner. 82. Policy/Strategy: The international community has interests in and responsibilities for the ex situ conservation of plant genetic resources for food and agriculture. It is this understanding which provides the basis for an effective, integrated and rational global plan to secure existing collections. Countries have national sovereignty over, and responsibility for, their own plant genetic resources for food and agriculture. 83. Full use should be made of appropriate existing facilities, including national, regional and international centres. Conserved materials should be, as appropriate, replicated and stored in long-term facilities meeting international standards, in accordance with applicable international agreements. Unintended and unnecessary duplications between collections within the networks should be reduced to promote cost efficiency and effectiveness in global conservation efforts. Countries could be assisted in identifying which genetic resources are already stored and duplicated in long-term facilities. 84. FAO in cooperation with countries and with relevant institutions should facilitate the formalizing of agreements to safeguard diversity in ex situ collections in conformity with applicable international agreements. This would allow those countries so desiring to place collections voluntarily in secure facilities outside their boundaries. The Global Plan of Action has now been revised by the FAO Commission on Genetic Resources for Food and Agriculture for adoption by the FAO Council in November 2011. Central to the implementation of the global system of ex situ conservation will be the Global Crop Diversity Trust (hereinafter “the Trust”), an international endowment fund set up by international agreement in 2004 and recognized by the Governing Body of the Treaty at its first session in 2006 as being an essential element of the funding strategy of the Treaty in relation to the ex situ conservation and availability of PGRFA. The objective of the Trust is to ensure the long-term conservation and availability of PGRFA with a view to achieving global food security and sustainable agriculture and, in doing so, to promote an efficient, goal-oriented, economically efficient and sustainable global system of ex situ conservation in accordance with the Treaty and the Global Plan of Action. For this purpose, it runs an endowment fund to secure the long-term financing of eligible collections of PGRFA. At present, the endowment fund stands at some US$117 million, and long-term grants are made at the rate of over US$2.3 million a year. 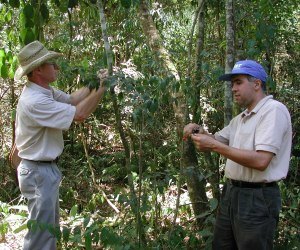 Technical knowledge on ex situ conservation has advanced considerably since the publication of the first Technical Guidelines in 1995. Much progress has been made in the development of techniques for in vitro storage of germplasm, which has become standard practice for many species in genebanks. In vitro samples are useful for conservation of genetic resources that are (1) vegetatively propagated or have short-lived recalcitrant seeds, (2) rare or endangered or (3) the products of biotechnology, such as elite desirable genotypes maintained as clones. In addition to their utility for conservation in active and base collections, in vitro techniques are useful for a number of other purposes, including rapid multiplication, production of disease-free material, safety duplication and distribution. International treaties related to plant breeders’ rights were introduced in the first version of the Technical Guidelines. As of April 2011, 69 states were members of the International Convention for the Protection of New Varieties of Plants (UPOV), with different members having acceded to different acts. Over 150 states are now obligated to comply with the Agreement on Trade-Related Aspects of Intellectual Property Rights (TRIPs) as a result of their membership in the World Trade Organization (WTO). The World Intellectual Property Rights Organization (WIPO) established a committee in 2000 to discuss the relationship between intellectual property, genetic resources, traditional knowledge and expressions of folklore. The WIPO Intergovernmental Committee on Intellectual Property and Genetic Resources, Traditional Knowledge and Folklore (IGC) is currently working on an international legal instrument to protect genetic resources, traditional knowledge and traditional cultural expressions. Linkages and possible inconsistencies between the international treaties protecting intellectual property and the regimes established by the CBD have been discussed in several fora. It is uncertain what impact the stronger intellectual property protections mandated by TRIPs, UPOV and WIPO will have on the CBD objective of fair and equitable sharing of the benefits arising from the use of biological genetic resources. One measure that has been suggested as a way to support the principles of the CBD through intellectual property systems is a requirement for the origin of genetic materials used in inventions to be disclosed. The WIPO IGC has considered the relationship between access to genetic resources and the need for disclosing in patent applications the origin of genetic resources and traditional knowledge, but no legally binding obligations have been approved. Thus far, the UPOV Council has asserted that the CBD and UPOV are already mutually supportive and has resisted including the disclosure of origin as an additional condition for protection. The most discussion on the issue of disclosure has taken place in the TRIPs Council, which has discussed many times the relationship between TRIPs and the CBD, and the need to amend TRIPs to support compliance with the CBD’s access and benefit-sharing obligations. Recent negotiations in the TRIPs Council have focused on whether TRIPs should include a requirement for disclosure (in patent or other types of applications protecting intellectual property rights) of the origin of genetic resources and traditional knowledge, possibly including proof of prior informed consent and benefit-sharing with the source. Members opposing this change take the position that contracts between countries and national access and benefit-sharing systems are already adequate to prevent misappropriation of genetic resources. An international certificate of origin has been proposed as one means of providing proof of compliance with national legislations on access and benefit-sharing that could be used to provide disclosure in applications for intellectual property rights. The International Regime on Access and Benefit Sharing outlined in the Nagoya Protocol lacks a mandatory requirement for disclosure in patent applications. Instead, it has a general description of checkpoints that are to be used to monitor compliance with national laws related to access and benefit-sharing, which has reinforced the push by some countries to add the disclosure requirement to TRIPs. What is now required is consolidation and practical implementation of the legal environment governing the collection of plant germplasm. It is especially important to clarify the way the regimes established by the CBD and the Treaty will operate with respect to the collection of PGRFA from in situ conditions. The interrelationship between Article 12.5. (h) of the Treaty and the rest of the provisions relating to the multilateral system and the development of standards for plant collecting and transfer will be of particular importance in this respect. The development of model contractual clauses (including clauses covering benefit-sharing arising from the utilization of genetic resources and traditional knowledge held by indigenous and local communities) will also be important. At present, the legal environment governing plant germplasm collecting is a patchwork of provisions from the CBD, the Nagoya Protocol and the Treaty. A great deal of work will be needed to ensure that these regimes are implemented in a harmonious and cooperative manner to ensure a proper basis for food security and sustainable agriculture. Meanwhile, as a practical approach, it is suggested that collectors should be careful to ensure that prior informed consent is always sought from the country where collecting missions are to take place and that the conditions set by the country for the collecting mission are scrupulously adhered to. Collectors are referred to the box, which provides practical guidance for seeking prior informed consent for collecting missions. FAO. 2010a. First Meeting of the Ad Hoc Advisory Technical Committee on the Standard Material Transfer Agreement and the Multilateral System of the Treaty. IT/AC-SMTA-MLS 1/10/Report. International Treaty on Plant Genetic Resources for Food and Agriculture, Food and Agriculture Organization of the United Nations, Rome. Available online (accessed 30 September 2011): ftp://ftp.fao.org/ag/agp/planttreaty/gb4/AC_SMTA_MLS1/ac_smta_mls1_repe.pdf. FAO. 2010b. Second Meeting of the Ad Hoc Advisory Technical Committee on the Standard Material Transfer Agreement and the Multilateral System of the Treaty. IT/AC-SMTA-MLS-2/10/Report. International Treaty on Plant Genetic Resources for Food and Agriculture. Food and Agriculture Organization of the United Nations, Rome. Available online (accessed 30 October 2011): www.planttreaty.org/sites/default/files/ac_smta_mls2_repe.pdf. Moore G, Tymowski W. 2005. Explanatory Guide to the International Treaty on Plant Genetic Resources. IUCN Environmental Policy and Law Paper No. 57. IUCN–The World Conservation Union. Gland, Switzerland. Available online (accessed 3 October 2011): www.iucn.org/dbtw-wpd/edocs/EPLP-057.pdf.